The concept of a trusted advisor committed to serving the needs and interests of a group of families can be traced back through the centuries. A noble position, this trusted advisor would act as the family's financial office, collaborating with a key family member to provide integrated, tailored solutions for the family's capital, while promoting and preserving the identity and values of the family as a whole. 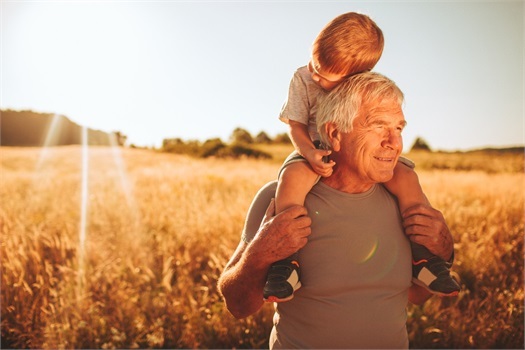 Foundational Wealth Advisory (FWA) was established to fill this essential, yet under-recognized, role by providing discerning families with sophisticated, understandable advice across and between generations. Likewise, FWA seeks to be a strong force of continuity, reinforcing family legacy across generations for client families. And finally, FWA has updated this role by being purposefully inclusive of both spouses, rather than relying on one key family member. We understand the ongoing challenges today's family faces in dealing with an array of attorneys, accountants, insurers, etc across a plethora of legal and/or corporate structures. Managing, coordinating, and integrating these complex relationships for the benefit of the family is not easy and often times is overwhelming. We can help. We have more than two decades of experience collaborating with the family's other key advisors to ensure that all the various advisory elements are consistently presented and delivered in a clear, concise manner and are in the best interest of the family. Whether a family is first generation affluent, or has continued to build upon the wealth entrusted to it, protecting and preserving the family's heritage and values is just as important to our clients as managing the family's assets. The economic environment will always present many new and unique challenges. But along with these challenges come opportunities and potential rewards. We can assist you in better understanding where certain investment and planning ideas could help, or hinder, your short- and long-term investment goals. You will no doubt have a big "wish list" that we can help you reality test within the context of your tolerance for risk. Our collaborative approach strives to enhance your control both now and in the future. We strive to bring clarity to what life might look like for you and your family beyond work. Imagine an advisor serving the patriarch and matriarch of the family in the mid-1980s, seeing the challenges conquered and values birthed in the first generation of the family wealth. That same advisor helps facilitate the transfer of wealth to the second generation, witnessing mistakes made, old values melding with new ones, and capabilities developing. As the third generation grows into adulthood, that advisor represents continuity that bridges across generations. That is Foundational Wealth. We've helped parents plan for their children...and we've helped those same children plan for their parents. We're there for the entire journey. If you're interested: What are You Investing In? We believe that the pursuit of excellence honors God and inspires others. To that end, delivering client service that consistently exceeds expectations is Foundational to our firm's mission. In fact, our high staff-to-client ratio not only allows us to provide prompt, exceptional care, our close personal relationships also allow us to anticipate client needs, thus helping our clients be more efficient with their own time. Importantly, as a fiduciary, we have a regulatory and ethical obligation above all else to serve our clients' interests. Our goals are aligned with those of our clients. Accordingly, we do not offer any proprietary products. We operate with an open investment architecture (meaning that we aren't incentivized to use certain products) and provide transparency into our investment decisions and fee structure. 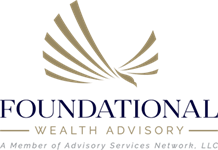 Advisory services offered through Foundational Wealth Advisory, A Member of Advisory Services Network, LLC, a Registered Investment Adviser. Advisory Services Network, LLC and FMG, LLC are separate and unrelated companies. Securities offered through Calton & Associates, Inc., Member FINRA/SIPC. 2701 North Rocky Point Drive, Tampa, FL 33607. Advisory Services Network, LLC and Calton & Associates, Inc. are separate and unrelated entities. 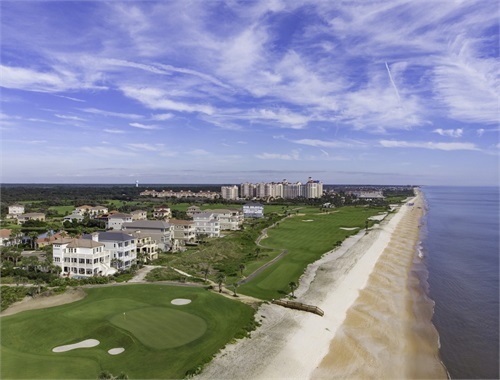 Fidelity Investments is an independent company, unaffiliated with Foundational Wealth Advisory. Fidelity Investments is a service provider to Foundational Wealth Advisory. There is no form of legal partnership, agency affiliation, or similar relationship between your financial advisor and Fidelity Investments, nor is such a relationship created or implied by the information herein. 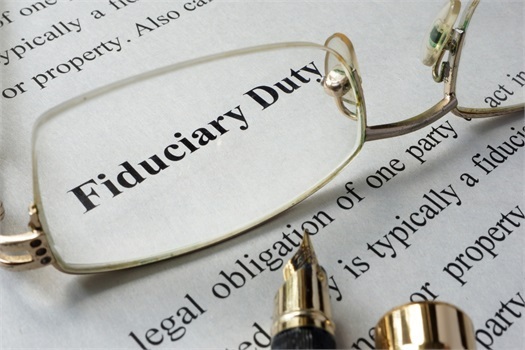 Fidelity Investments has not been involved with the preparation of the content supplied by Foundational Wealth Advisory and does not guarantee, or assume any responsibility for its content. Fidelity Investments is a registered trademark of FMR LLC. 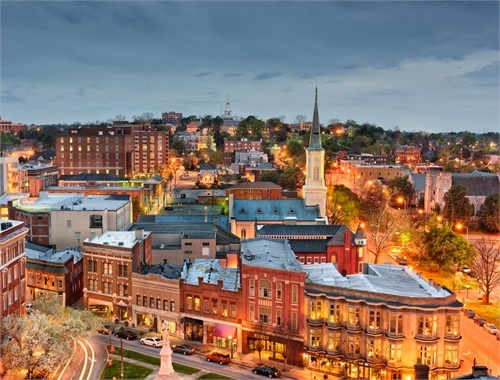 Fidelity Clearing & Custody Solutions sm provides clearing, custody, and other brokerage services through National Financial Services LLC, or Fidelity Brokerage Services LLC, Members NYSE, SIPC.